Hi everyone I'm Jack Red, sure you could do your best & worst RE monster lists. Why not talk about some of my favorite Resident Evil monsters. Now this isn't going to be set up like a short or long list. 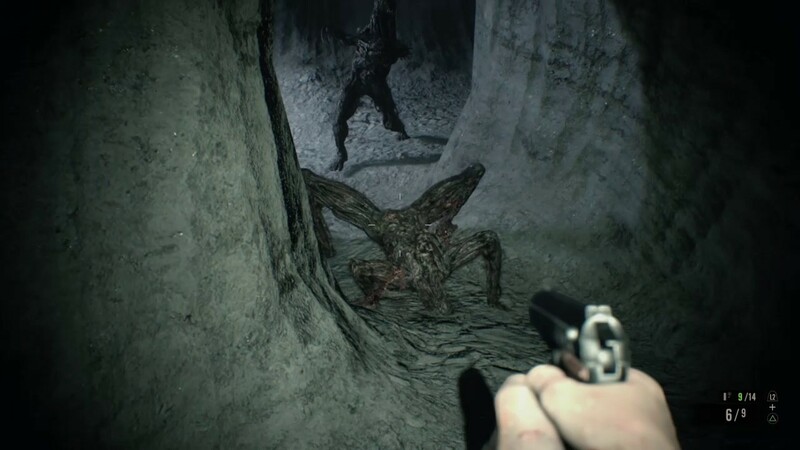 I will be covering my favorite monsters in every main Resident Evil game. Before anyone freaks out, I am doing another one covering strictly my favorite Resident Evil bosses. This will be a lengthy blog entry please take as many breaks as needed. I really don't want to be the cause you end up in a hospital. Hunter Alphas are hands down the scariest monsters in most versions of RE1. These creatures will chase after you to hunt you down. I chose not to involve Crimson Heads because even they fail in comparison to Hunter Alpha. Which is still one of the best Hunter models in the entire franchise. When you come back to the mansion, one of the scariest cut scenes plays out. It is highly recommend to be armed with a shotgun. Trust me against one of those creatures it's your best friend. Yes sometimes they can be annoying but they're intelligent monsters. Hunter Alphas is one of the most aggressive creatures in the entire game. There's just enough of them to keep players on the end. Lickers was always a personal favorite of mine since my child hood. They're a part of the T-Virus evolution follow Regis Licker. Believe it or not, Lickers keep appearing in many things Resident Evil including live action movies. Lickers reminds me of Marvel's Venom for a few reasons. They're also the first among monsters that can't see. Possibly among the scariest since Lickers can crawl on the ground or ceiling. Lickers are basically RE2's answer to RE1's Hunters. There is also Super Lickers that can tank more damage while dealing much more. Lickers are among the creepiest of monsters just among PS1 era RE games. Also do I even need to mention the famous first cut scene with a Licker? Easily one of my favorite obscure Resident Evil monsters. Usually Hunters are reptilian/human hybrids, Hunter Gammas actually being ambition instead of reptilian. This particular Hunter model can swim as well as swallowing a full grown person whole. Yes there isn't many of them in 3: Nemesis. Hunter Gammas are one of two Hunter models in Raccoon City at the time of it's destruction. For the first ambition RE monster I felt it was beautifully designed monster. It may not look like that in game but in some spin offs you can kill these creatures. Hunter Gammas is easily one of the most underrated RE monsters in history. Believe it or not, Bandersnatch is actually classified as a failed tyrant model. They were created for being rubber like creatures that could've been used in armies. However due to their creation, they're missing an arm. Yes they're among the toughest of regular enemies in CODE: Veronica X. Bandersnatch does have a great introduction cut scenes. One of my favorite cut scenes is Steve jumps in through a window gunning down a Bandersnatch. These creatures has the longest attack range of all the enemies in the game. Just attempting to knife one is suicide. A few areas has a handful of them that's difficult to avoid. Even Chris gets force to meet one because of Wesker. Not to be confused with Leech Zombies in Outbreak. Leeches controlled by Queen Leech through Dr. Marcus inside her. Several areas has a man made entirely out of leeches. These creatures has the longest attack range while also being the most difficult regular enemies. Unlike most RE creatures, there's several death animations for Mimicry Marcus. Sometimes they can move faster but usually prefer to take their time. The first cut scene with one is among my favorite cut scenes in the game. Mimicry Marcus is also a taste for the last two bosses. They can be tricky to avoid sometimes. Also in most ways to kill one, their legs grows big enough to explode possibly doing a lot of damage. J. J. is a recurring enemy in most RE4 modes. There's no way around the obvious, he is a gatling gunner. This guy is among the toughest of regular enemies. Due to his weapon, he has the longest attack range. He can tank a lot of damage far greater than most enemies. Thankfully he prefers to be ready to fire fast. There's several of them with some cases of more than one at the time. Especially within a particular level in The Mercenaries. J. J. acts like a mini game in later portions of the campaign. This guy isn't afraid to kill some of his allies. Sometimes if you aren't careful he can fire away at you even at angles you thought you were safe. 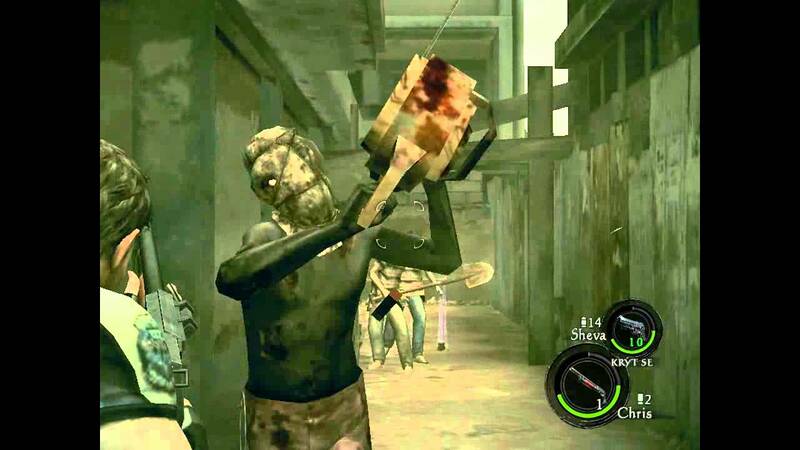 Chainsaw Majini is a tough enemy that appears in some modes. Similar to his RE4's chainsaw characters, he can tank a lot of damage greater than most enemies. Just like them, he can instantly kill you on the spot. Chainsaw Majinis are among the angriest majinis within the game. These guys moves the fastest among all enemies. Ghiozzo are aggressive fishes that appears in some parts of the campaign. Yes they're among the weakest of enemies but they were the best looking monsters. A lot of them all over the place is over whelming. Ghiozzo has an awesome intro cut scene. These creatures are much worse in the water but they can still attack out of it. There's two main enemy groups in Resident Evil 6. 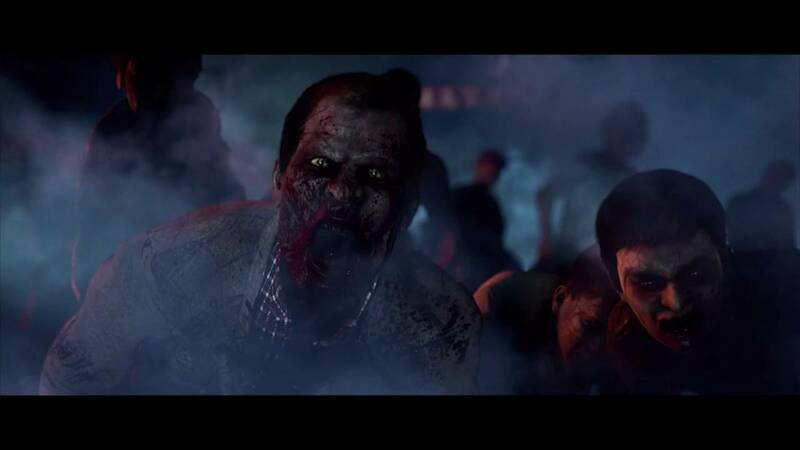 Zombies is similar to other zombies by different viruses. Let's be honest among most regular enemies doesn't stand out in this game. You know a game isn't great if zombies are the only creatures worth mentioning. I do like some of their designs but the fog effect makes it even creepier. Believe it or not, I do like Ironhead for many reasons. In a sense they're a spiritual successors in some RE games to executioners. These guys are among the toughest of regular enemies. Also I strongly felt they look the best out of all the enemies. Ironhead is present in most modes. I also like how he uses his weapon. Yes I know many RE fans aren't crazy about molded enemies. I always liked seeing the four legged molded creatures. Out of all molded creatures, these are the only ones I find creepy. I felt they were great enemies in most modes they appear in. Sometimes you got to deal with a lot of them at once. You have to be on your guard around just one of these monsters.